Today we went to Akame falls to have a ninja experience! I really enjoyed the time I spent as ninja. There was a big and beautiful natural park, with houses built in the ninja’s style, meaning with hidden doors and things like that. There were so many trees and a big waterfall. We threw shurikens! I have never done it before, but it was really good. And it was the activity that I liked the most of all. We also did some climbing on a wall. It was very difficult because it was too slippery. But it was very fun. 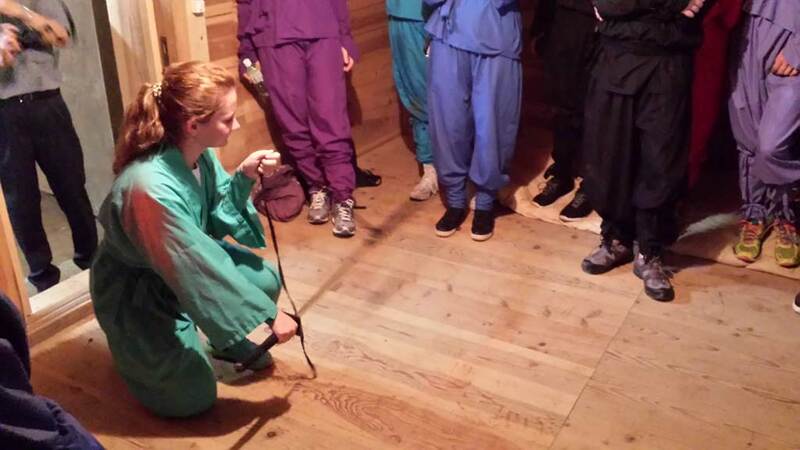 After that, we learned about other ninja activities, such as moving on ropes and walking on narrow planks. We wore ninja costumes of different colors the whole time. At the end, we got our ninja certificates 🙂 And we felt like real ninjas:)! It was a good day!